Whimsy by Shellye: I Love to Color! today is day #2 and I'm up! I love thinking up new ways to add color to the Naturals Canvas pieces. For this card I took a large and small canvas daisy and separated the layers. combined it with a dollop of Gel Medium; mix the two until they're well blended. 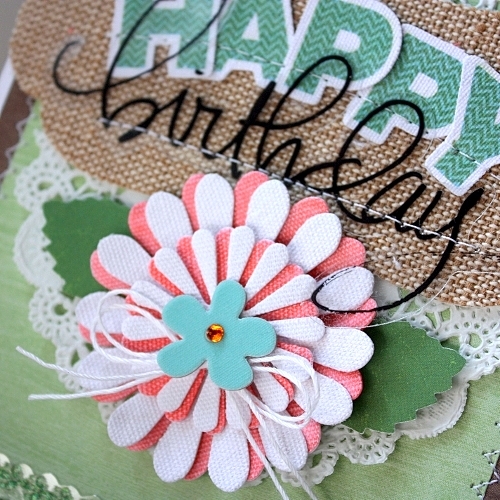 the layers and used it for the focal point of my card! I used the darkest color and then worked my way inside the design with the lighter two colors. Using a water-brush, I gently blended the colors together...easy! The two companies are each offering a prize pack worth $50! Leave a comment on the Little Yellow Bicycle Blog and on the Faber-Castell Design Memory Craft Blog for a chance to win $50 in product from Faber-Castell Design Memory Craft and and $50 in product from LYB! Leave a comment on LYB's Facebook page and Faber-Castell's Facebook page for another chance to win! This blog swap will end at 12am EST on June 14th. Winners will be announced on both company blogs on June 17th. I love your creativity, the cards are gorgeous! I am so impressed by how you stitch a circle perfectly... so hard to do. Thanks for sharing today. oh my how i love the vibrant colors and the depth all the textures bring! Lovely work, Shellye! These are quite darling and your coloring superb! GORGEOUS cards! 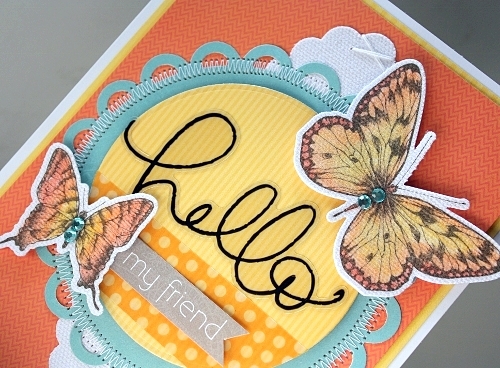 I love the texture and the pretty colors:) Fabulous creations!